Your "cosmo" will love resting on one of these coasters, while doing it in style! This cocktail, the cosmopolitan" is a refreshing blend of vodka, triple sec, cranberry juice and freshly squeezed lime. 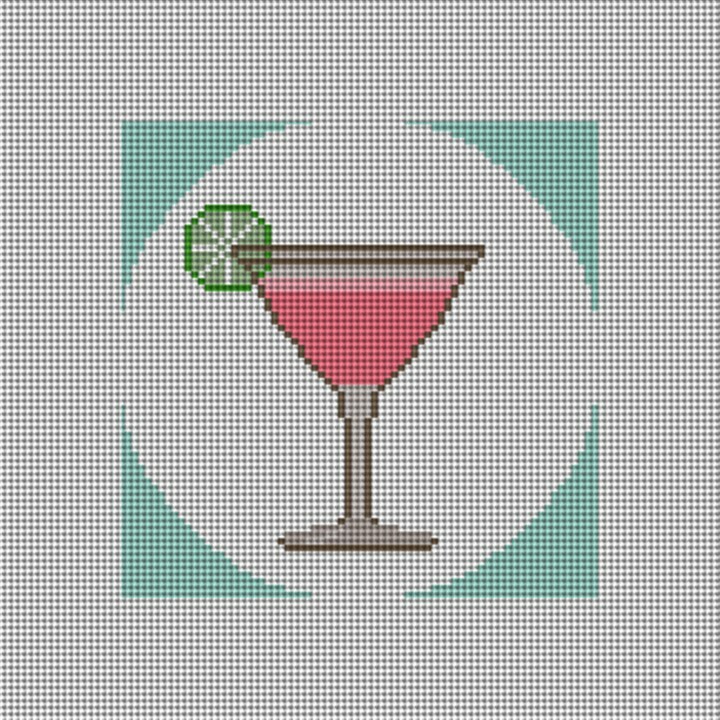 Whether stitching one coaster canvas or a set, we think your cosmopolitan will look stylish, when sitting on top of one of these hand stitched coasters. Makes for the perfect hostess gift, or even a unique Christmas tree ornament.